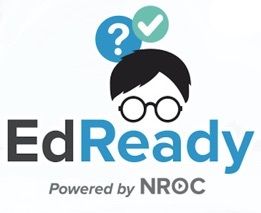 EdReady is built and supported by the non-profit NROC Project. The mission of NROC is to help meet society’s need for access to effective, high-quality, educational opportunities in an era of rapid economic, social, and personal change. NROC builds many educational resources and applications, often with the support of major philanthropic foundations, and students are never charged to use our products.